Today we travel to the northern Kanto region of Japan, replete with high peaks, rural surroundings and natural hot springs. Here we will explore a single-level wooden home of just over 87sqm. It is surrounded on three sides by a gently rising landscape that forms a natural green backdrop. The abode was built for an older couple who wanted to retire to the area after visiting it for many years. The architect, Atelier N, has focussed on creating as much natural illumination in the home as possible—without sacrificing any of the couple's precious privacy. Let's take a look at the wonderful results! The home fits snugly within the landscape and the glass walls really allow the green surroundings to become a part of the inner aesthetic of the home. In material terms, it also has a good combination of natural and man-made materials. 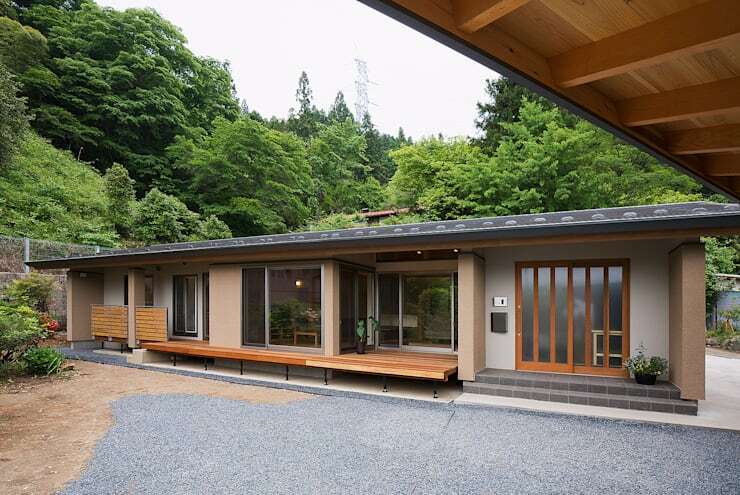 The roof is made from galvalume steel plate, the outer wall from shurasu volcanic ash and the deck with cedar wood. Inside, the walls are covered in diatomaceous earth wallpaper. In the living room, we can see how effectively the glass walls allow light to penetrate the home without sacrificing much privacy. This is largely due to inset porch or patio area to the left. 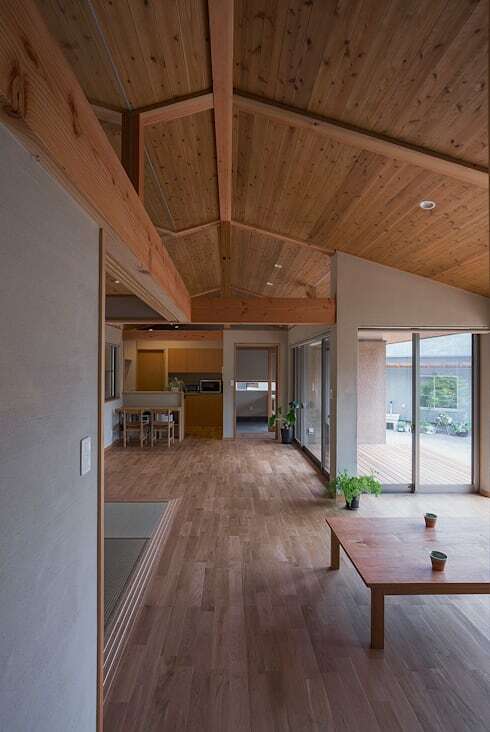 Note how the natural wooden floors and ceilings also add to the natural connection between the indoors and outdoors. It's a very peaceful home. 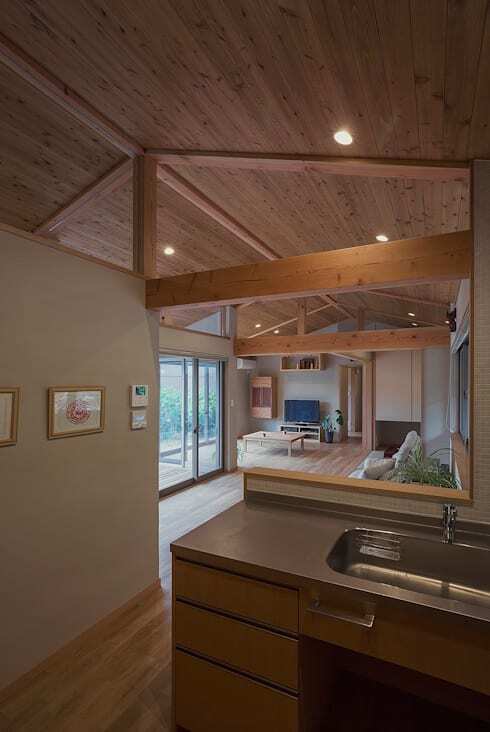 The home has a peaked roof with chunky timber beams that really add to the natural aesthetic. The support beams have been left exposed so as to allow the natural light can flow throughout the home unimpeded. Note how effectively the kitchen is separated from the living area by the inset wall to the left. This helps separate an area of high activity from the main living area that has a very peaceful, serene ambience. From this angle, we have a view of the entrance area directly ahead. The entire home has been set up so there is a simple flow of traffic. Note how the wooden timber has been laid to accentuate this shape. The home is essentially built as one large living space, but the shifts in each wall and plane of glass separate each zone very effectively. 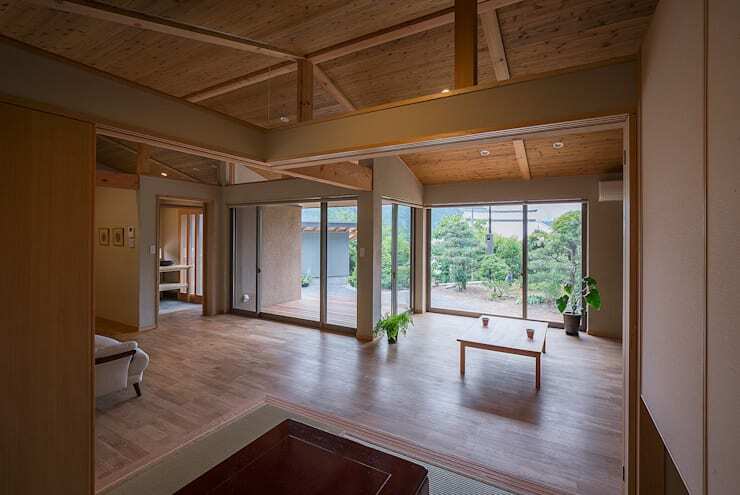 In this entrance area, or genko, we have a good example of a typically Japanese separation of living spaces. 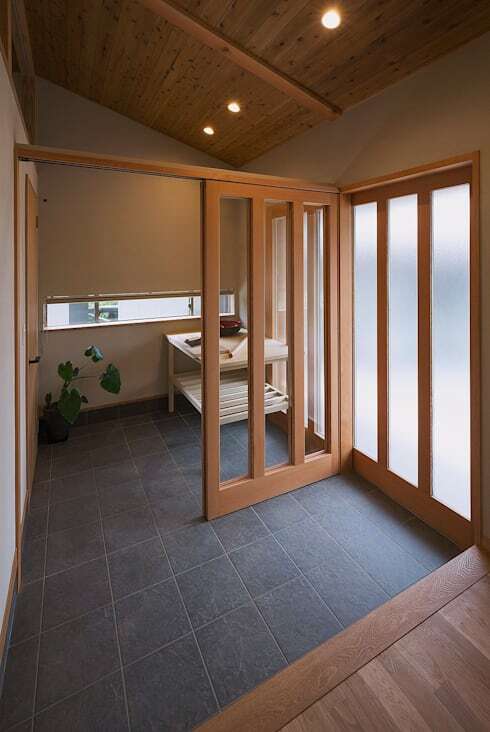 The wooden sliding door is a symbolic barrier rather than a practical one. It has been placed here to help one focus on the activity within that zone. 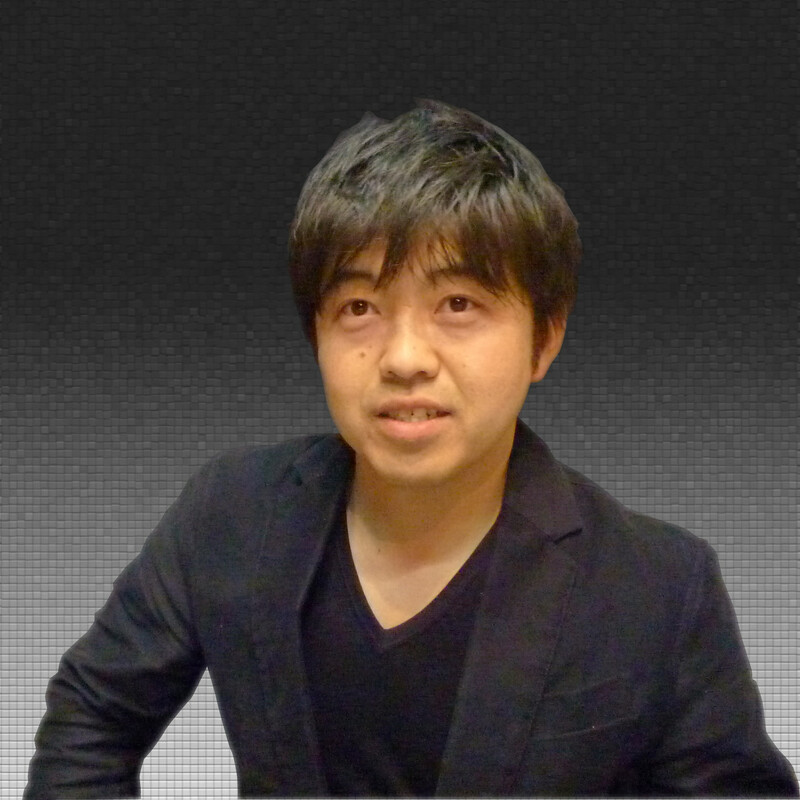 This is an idea that is a huge part of Japanese interior design. For more architectural inspiration, take a look at A simply fantastic house. Is this your dream retirement home?